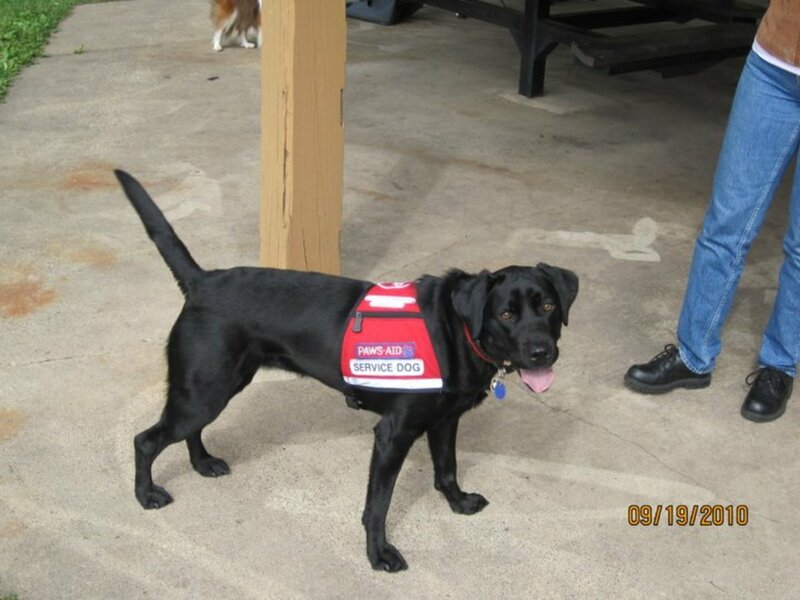 AJ has been a life-long Pittsburgh resident who loves showing off his city to anyone who is interested. In January 2018 National Geographic named Pittsburgh: One of the Best Cities in the United States. The magazine announces travel surprises in 30 smaller cities. Harper's Bazaar named Pittsburgh #4 on it's List of 17 Best Places to Travel in 2017. The magazine named Pittsburgh America's Most Underrated City. Visiting Pittsburgh, PA affords the urban tourist many exciting and fun-filled opportunities. 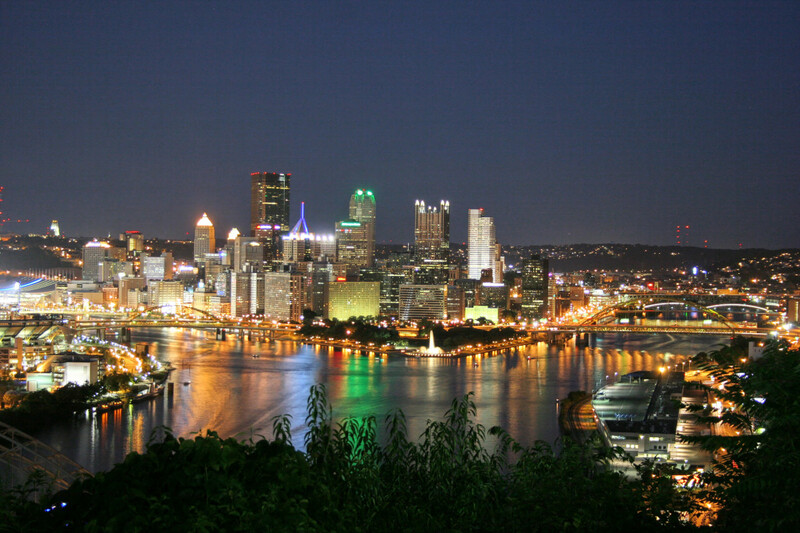 3.9 million people visit Pittsburgh annually. The Places Rated Almanac has rated Pittsburgh in the top five Most Livable Cities in the 1983, 1985, 1989, 2007, 2012 editions. Pittsburgh was rated the country’s Most Secure Large Metropolitan Area for 2011 in the Eighth Annual Farmers Insurance Study. 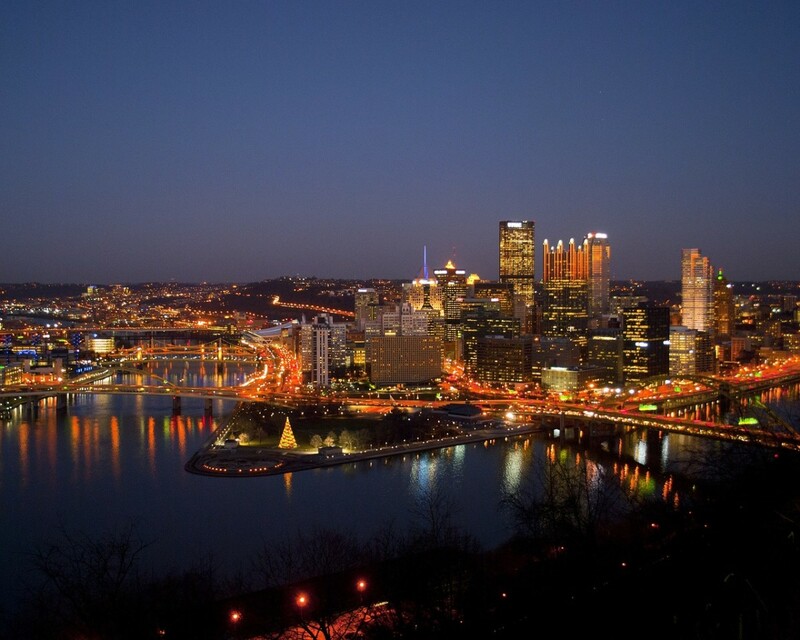 Pittsburgh has been named Number 1 on livability.com's list of America's Top 10 Best Downtowns of 2015! Pittsburgh is not the "Smoky City" of yesterday. 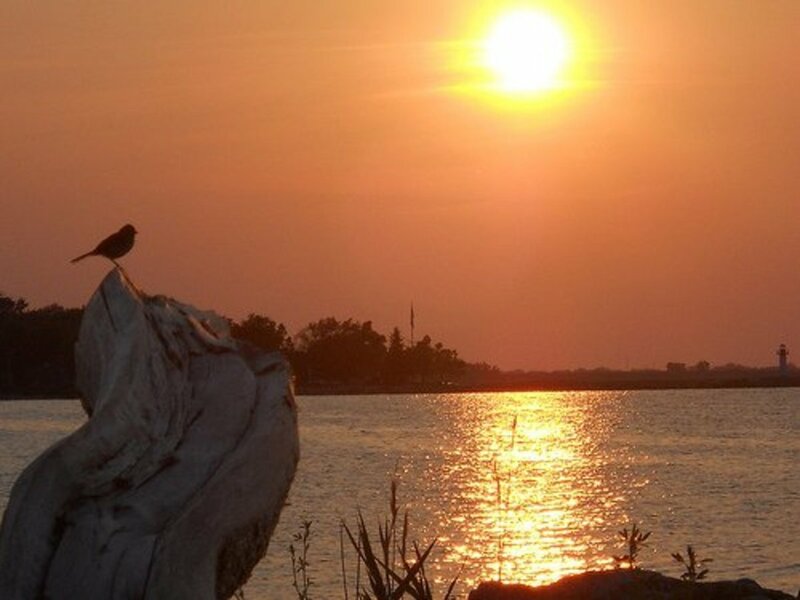 Visit these three best tourist sites and decide for yourself! Have You Ever Visited Any of These Three Places? 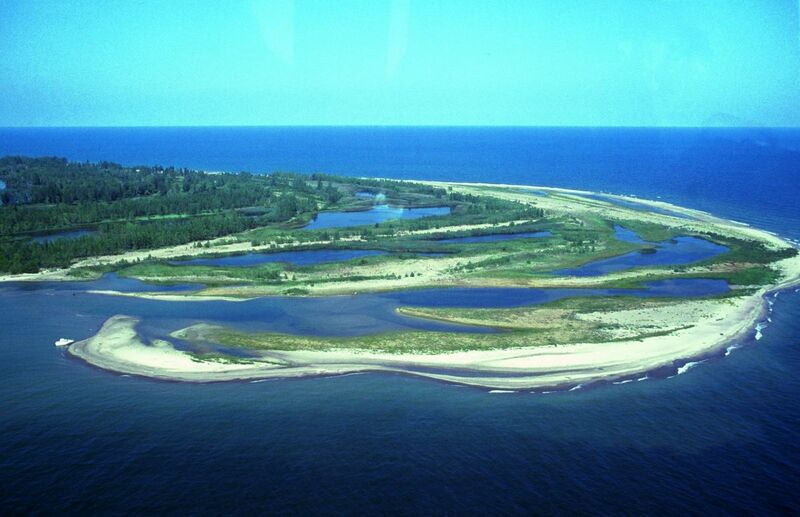 The site was once a busy industrial area, but had deteriorated by the 1940s and the state park development was authorized in 1945. The park and fountain were completed and dedicated in 1974. 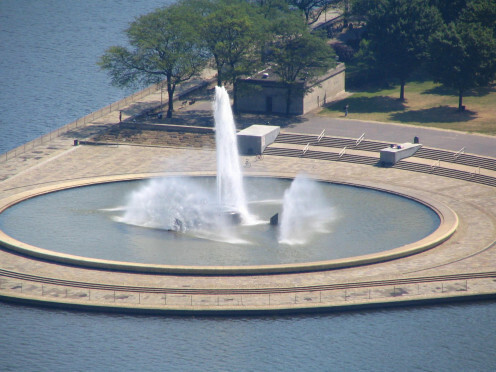 This fountain comes from a 54-foot-deep well that draws its water from an underground glacial stream (sometimes referred to as Pittsburgh's "fourth river"). In April 2009, the fountain was shut off when it underwent a $9.6 million renovation. This is part of a $35 million complete restoration of Point State Park. The Point State Park Fountain re-opened with a ribbon cutting ceremony at 5 pm on Friday, June 7, 2013. The River City Brass Band played as Gov. Tom Corbett flipped the switch for the renovated fountain and sent a 150-foot-high geyser of water into the air. A zero-edge pool of water and a granite seating area surrounds the fountain. LED lighting gives amazing clarity to the water. There was a free evening of fun, entertainment and dazzling lights on the water. 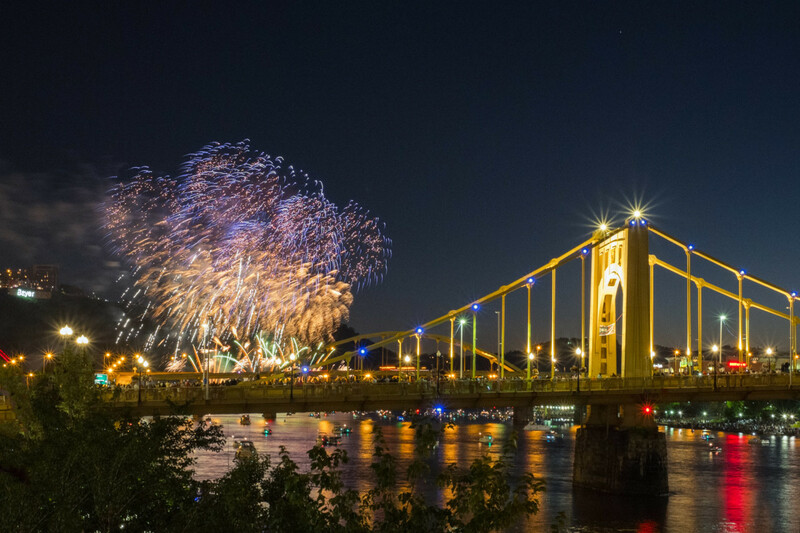 On Wednesday, October 1 2014 the American Planning Association honored the Point State Park as one of its 10 Great Public Spaces for 2014. 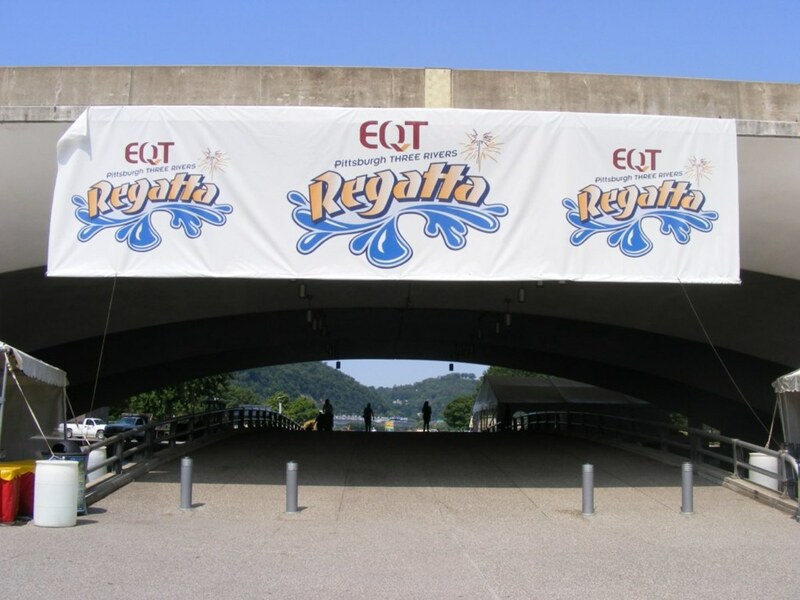 On the 4th of July at Point State Park, EQT Pittsburgh Three Rivers Regatta people will enjoy musical acts and other entertainment. Fun starts at noon and fireworks at 9:35 PM. Food, fun and live music return to North Shore in free event. 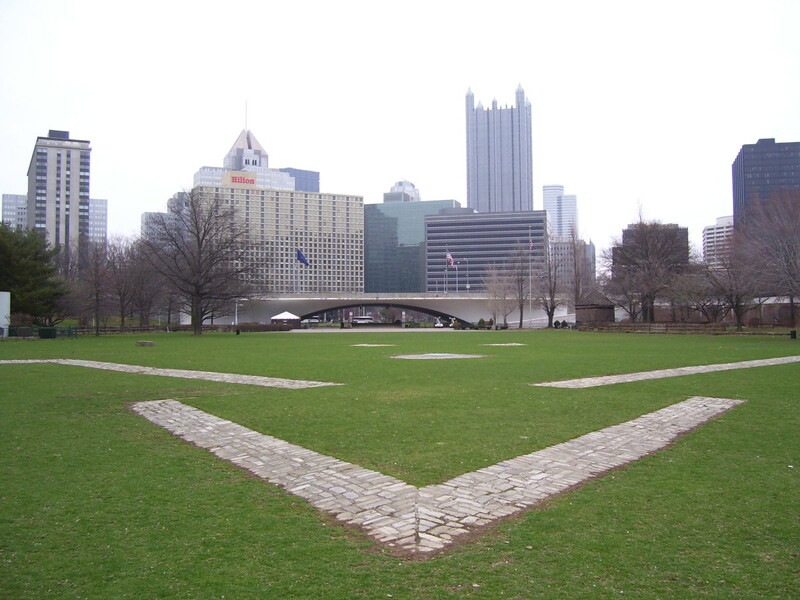 Two Museums are located within the park memorializing Fort Pitt and Fort Duquesne which had been built on this site. The Fort Pitt Museum (the oldest existing building in Pittsburgh) focuses on the French and Indian War. The frontier period of local history is commemorated in the museum and contains numerous displays and exhibits. The Fort Pitt Blockhouse was built by Colonel Henry Bouquet in 1764 and is the oldest architectural landmark in Western Pennsylvania. The Fort Pitt Blockhouse celebrated its 250th Anniversary on Sat, Aug 9, 2014 – Sun, Aug 10, 2014. Colonial re-enactors showed visitors how the Fort Pitt Blockhouse was built. A blacksmith was on hand to demonstrate 18th century techniques. There were musket demonstrations and the Fort Pitt Museum fired its reproduction 18th Century cannon on both days. There was also a 250th Anniversary gala celebration held on September 11, 2014, at the Wyndham Grand Hotel – Downtown Pittsburgh. 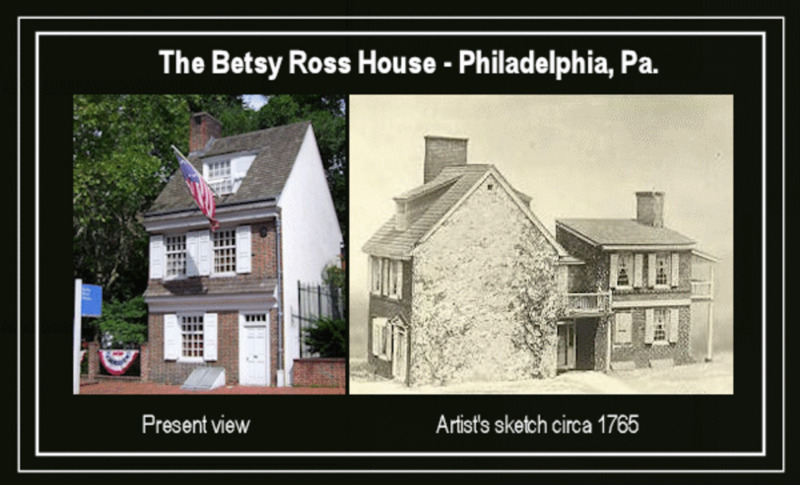 Built in 1764, the Fort Pitt Block House is all that remains of Fort Pitt, one of the largest and most elaborate British forts in North America and a key defense during the French and Indian War. The 10 day Festival is free and open to the public from 12 – 8 pm. 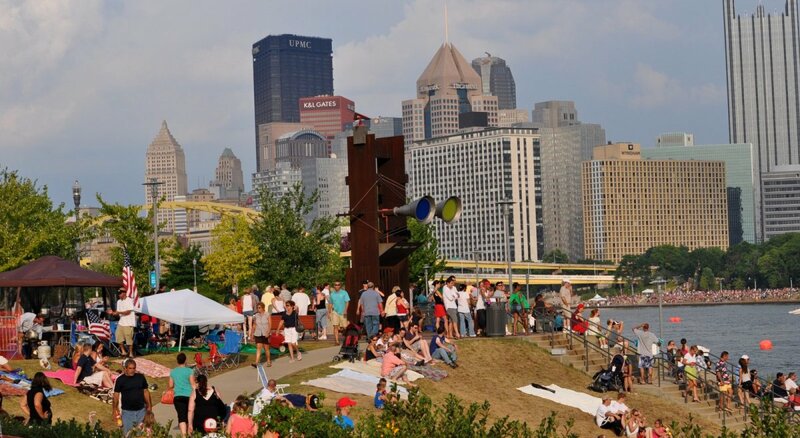 The Festival is located in Downtown Pittsburgh, Pennsylvania – Point State Park, the Cultural District, and Gateway Center. Artists will display their work and musicians will perform at venues set up throughout Downtown Pittsburgh. The festival includes 10 days of free music and art. The Sunshine Artist Magazine ranked the festival among the top 50 shows in the United States. Over 400,000 festival goers fill downtown Pittsburgh over the course of the event. This year's event will be held Friday August 4th, Saturday August 5th and Sunday August 6th 2017. Over 600,000 have converged on Pittsburgh during the course of this event in past years. The Three Rivers Heritage Trail (TRHT) is a pedestrian trail and greenway system in the Pittsburgh area. 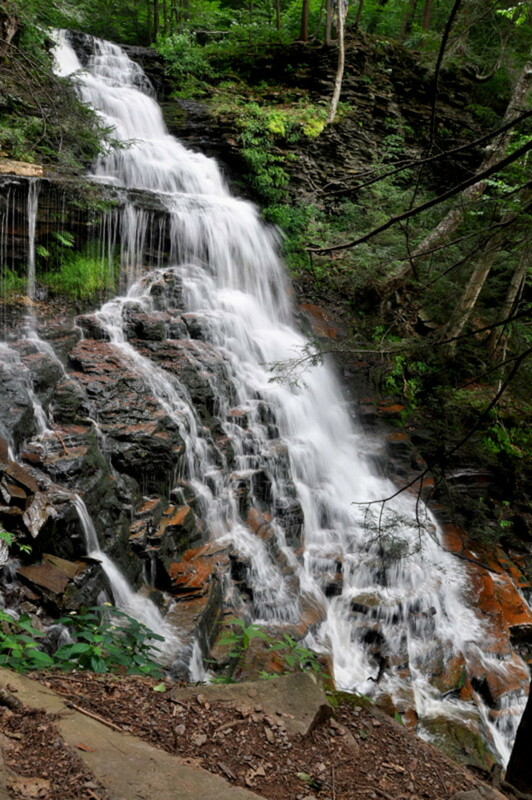 It covers 37 miles along both sides of the Allegheny, Monongahela and Ohio Rivers. Three Rivers Water Trail is a series of boat launching points on the Allegheny, Monongahela and Ohio rivers. These launching points assists non-powered boaters in exploring the Three Rivers and the City of Pittsburgh. The Great Allegheny Passage (GAP) rail trail offers 141 miles of hiking and biking between Cumberland, MD and Point State Park, in Pittsburgh. The trail offers a continuous trail experience, 325 miles long, to Washington, DC. The Pittsburgh Downtown Partnership celebrates the official Holiday Season with free concerts entertainment, activities, music, and across the Golden Triangle. Highmark First Night Pittsburgh, a production of the Pittsburgh Cultural Trust, is Pittsburgh’s arts-focused New Year’s Eve celebration. The six-hour celebration extends throughout the downtown’s 14-block Cultural District . 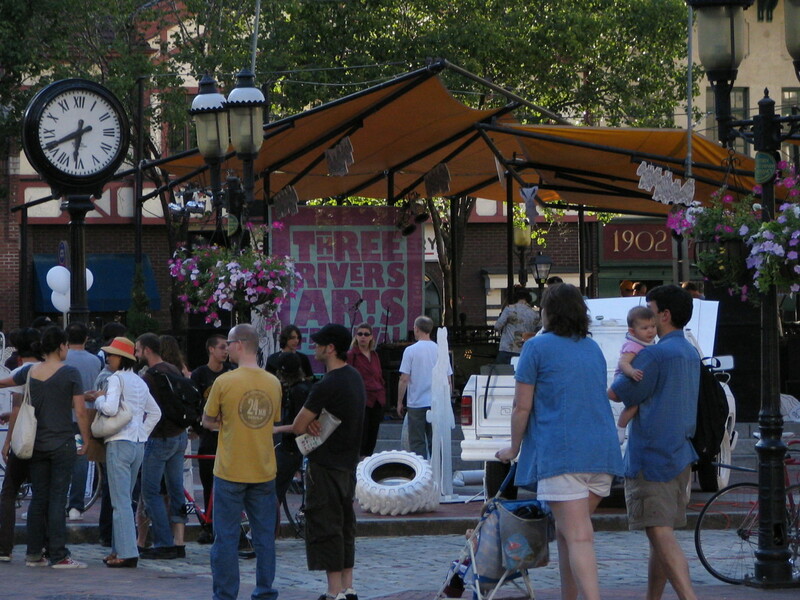 Events can be found in the city's theaters, galleries, and unique spaces and on city streets on outdoor performance stages. The celebration includes live music, dance, theater, visual arts, comedy, magic, kids’ activities, and a signature parade. Pittsburgh's Celebration will come to a climatic completion with the Countdown to Midnight and raising of the Future of Pittsburgh Ball. 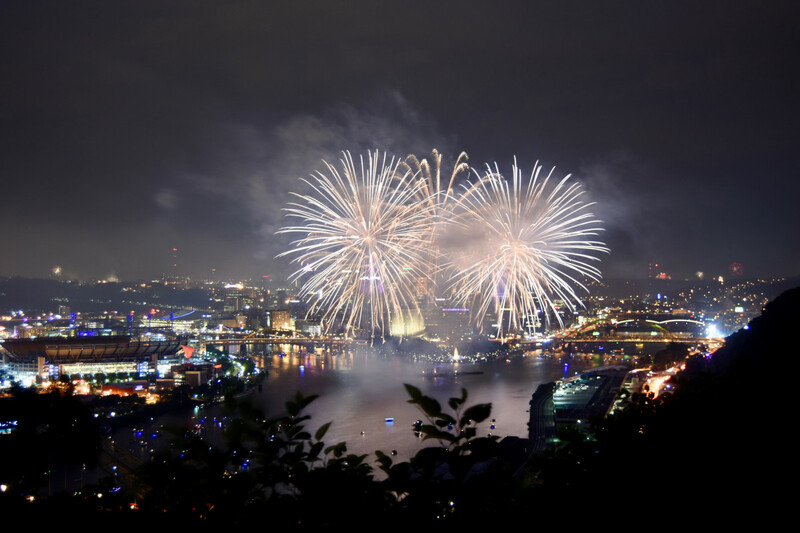 On display will be two Zambelli Fireworks displays: at 6 pm and at midnight. Admission Button price: $10 per person (kids 5 and under FREE). One can appreciate an astounding view of the Pittsburgh skyline from the outlook on Grandview Avenue on Mount Washington. On May 18th, 2003 USA Weekend rated this nighttime view as the second most beautiful vista in America and the best urban vista. In 1876, the area was named Mount Washington. A year later, the view of the City of Pittsburgh was first drawn from there. Most photos of the Pittsburgh skyline are shot from Mount Washington. The elevation and overlooking the river valley and Downtown Pittsburgh below lend itself to its photogenic quality. There are many restauarants that are favorite destinations on Mount Washington, not just for visitors but enjoyed by many Pittsburghers. Two of note are the Georgetown Inn and the LeMont Restaurant. Both afford amazing views of the city. 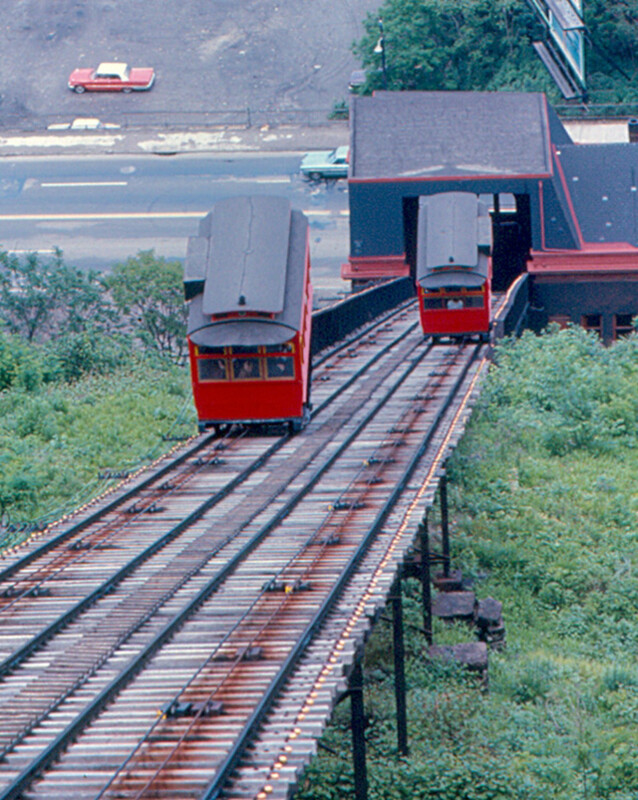 One can access Mount Washington by using two inclines. 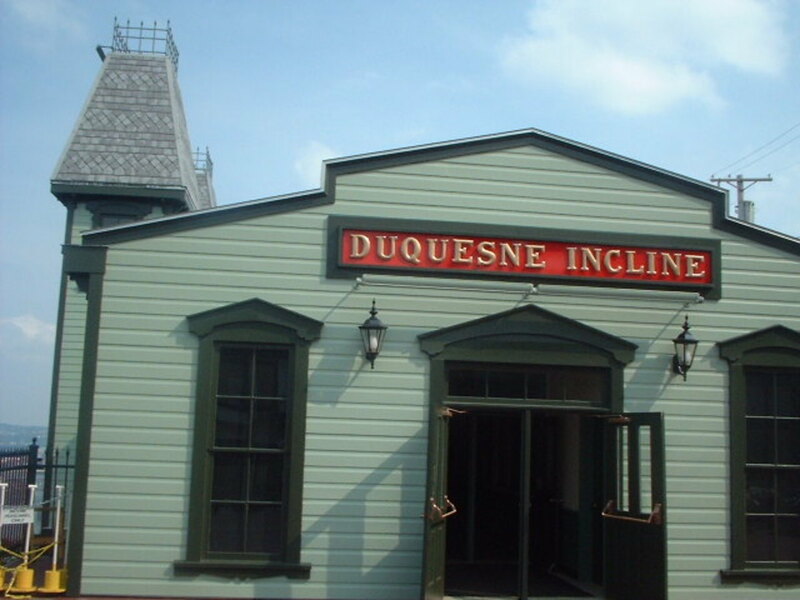 Pittsburghers take every relative and friend who visits to the Duquesne Incline. This attraction opened in1877 and was restored in 1963. From Grandview Avenue, you can access the station house and the museum. Open 365 days a year, you purchase souvenirs of its history and visit an observation deck to enjoy the the city view. Or you can ride from below on West Carson Street where you can experience the city from a unique perspective as you rise to Mount Washington. Funicular: a cable railroad, especially one on a mountainside, in which ascending and descending cars are counterbalanced. 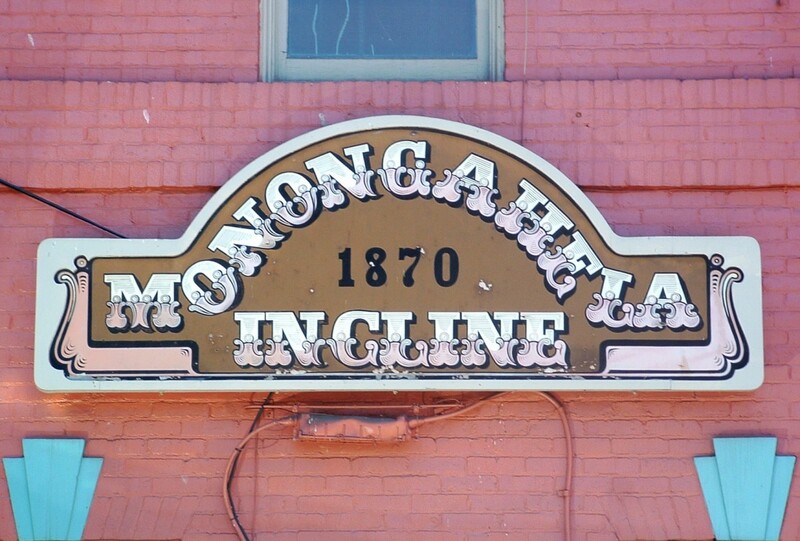 The Monongahela Incline, was built in 1870 and is another way to visit Mount Washington. Found at the furthest end and can also be accessed from Carson Street. 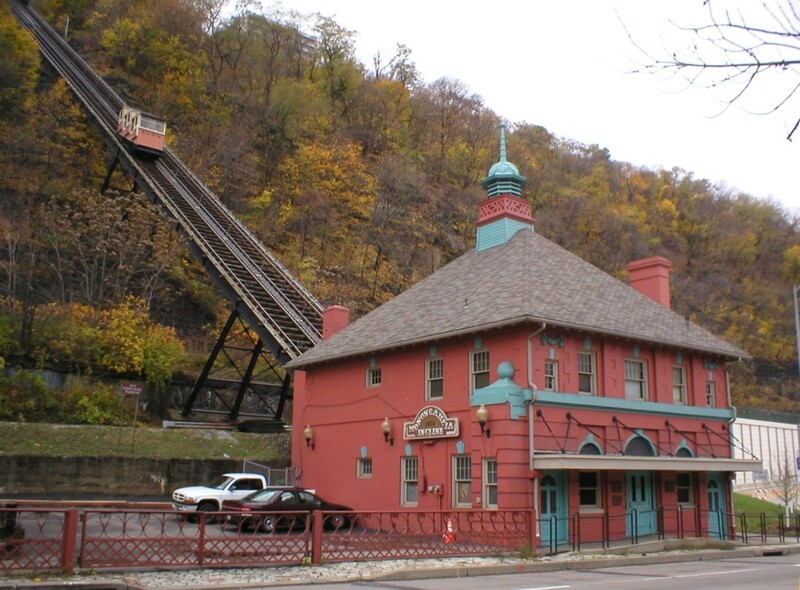 It is the oldest continuously operating cable railway in the USA. 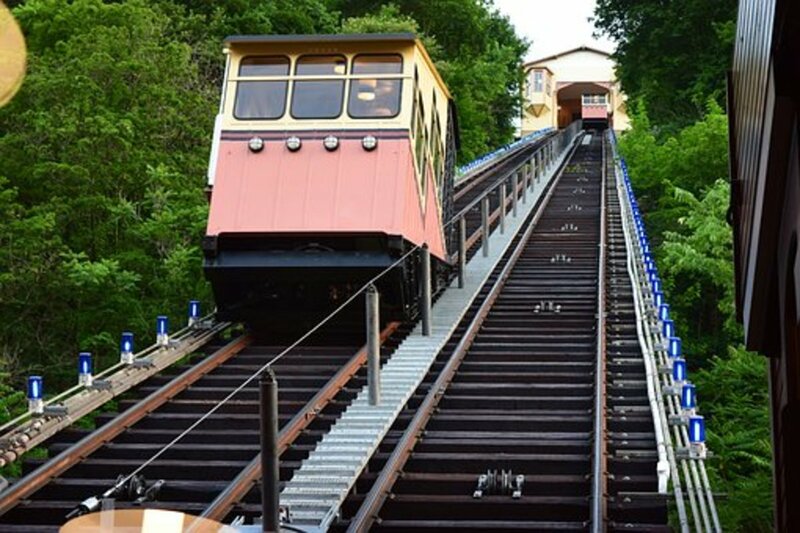 This and the Duquesne Incline are the only surviving inclines from the original 17 passenger-carrying inclines built in Pittsburgh from the late 1880's. The lower access point is located near the Smithfield Street Bridge across the street from the Station Square shopping complex. 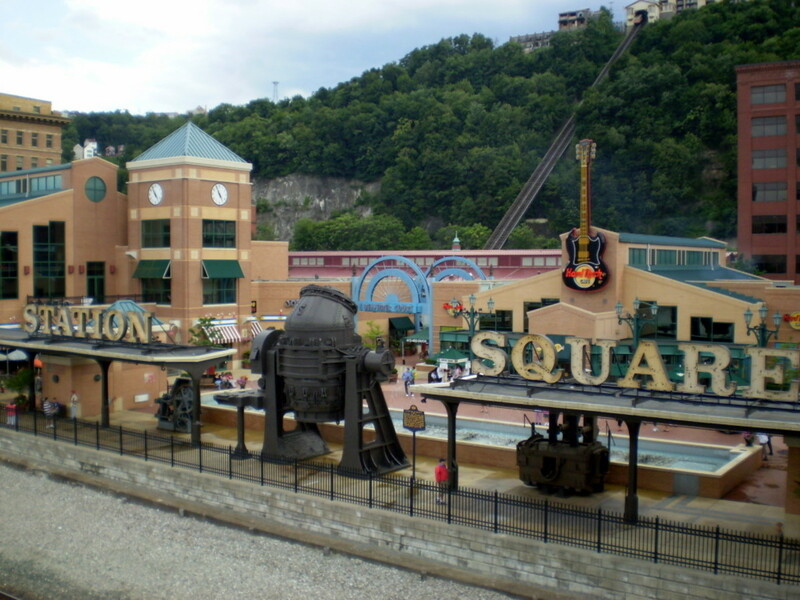 Station Square is shopping and entertainment venue that has been developed on the former site of the Pittsburgh & Lake Erie Railroad (P&LE). The converted train station boasts, restaurants, shopping, hotels, entertainment venues, and river sight-seeing tours. The Station Square website declares that it has a "state-of-the-art Fountain at Bessemer Court with its Waltzing Waters Liquid Fireworks Show of hundreds of multi-colored water jets all choreographed to music and soaring up to 40 feet in the air." 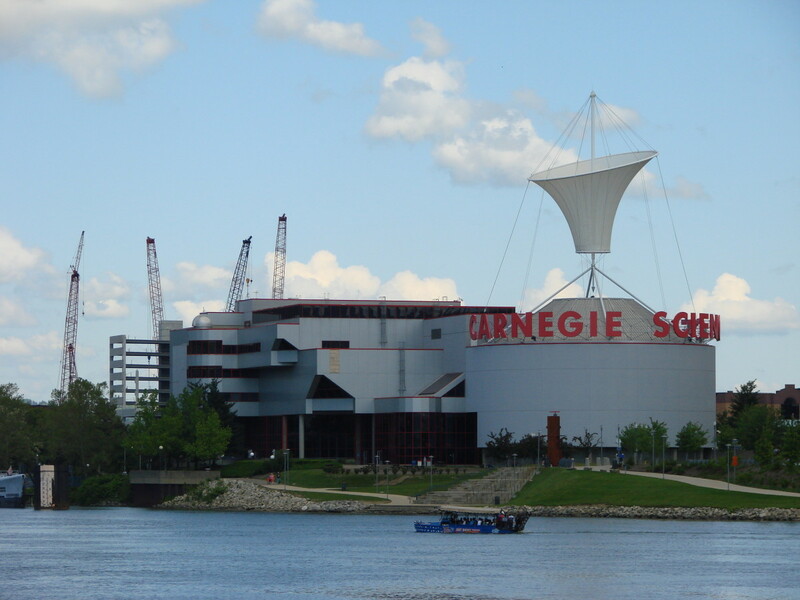 The Carnegie Science Center is tremendous tourist destination. 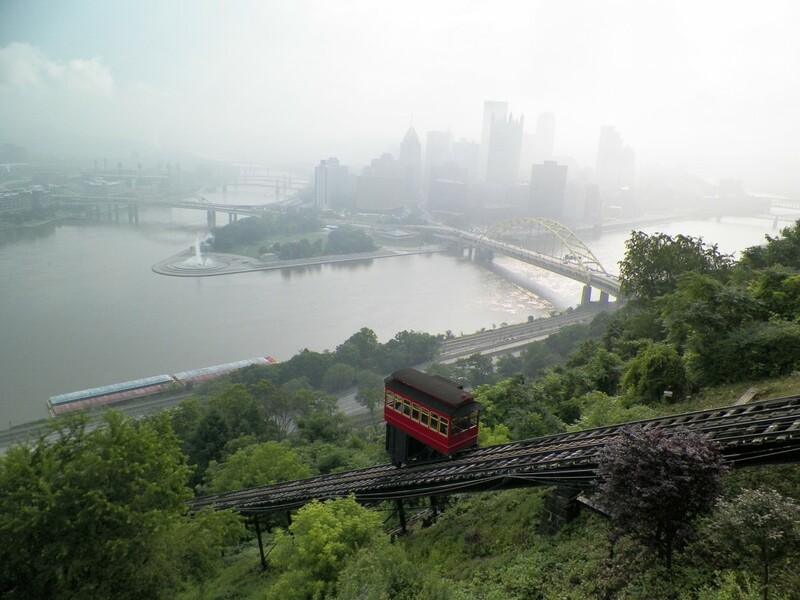 Located on Pittsburgh's North Shore it has an amazing assortment of attractions. It has four floors of exhibits, many of them interactive. The Rangos Omnimax Theater, a four-story, state-of-the-art IMAX dome theater shows several science or nature related movies several time daily.It is one of only 50 theaters of its kind in North America. One of the exhibits is a real Cold War-era submarine, USS Requin. Many schools participate in educational programs throughout the week. The Buhl Planetarium explores the universe on a high definition full dome experience. Amazing live shows explain difficult science principles in entertaining ways. 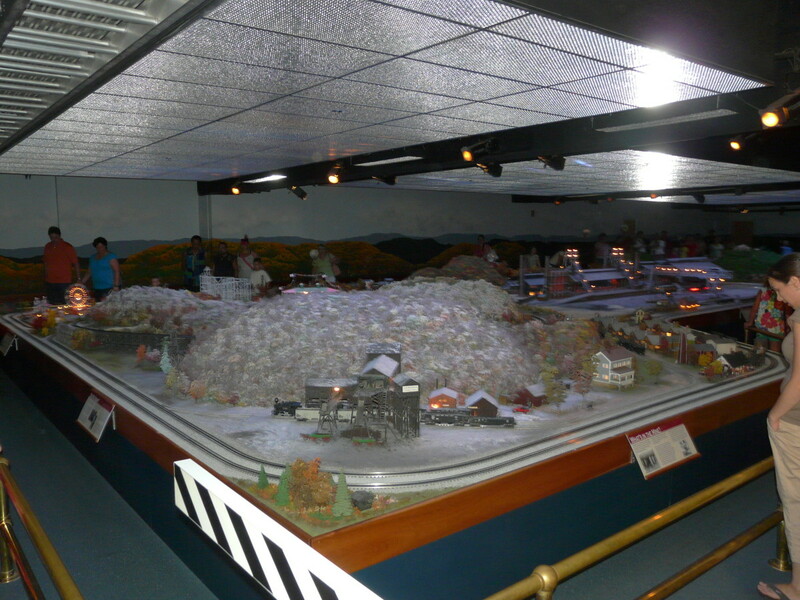 there is also a Miniature Railroad Village that displays many of Pittsburgh historic landmarks. Young and old will be delighted with this incredible entertainment and educational experience. Open from 10 am to 5 pm Sunday through Friday, and from 10 am to 7 pm on Saturdays. 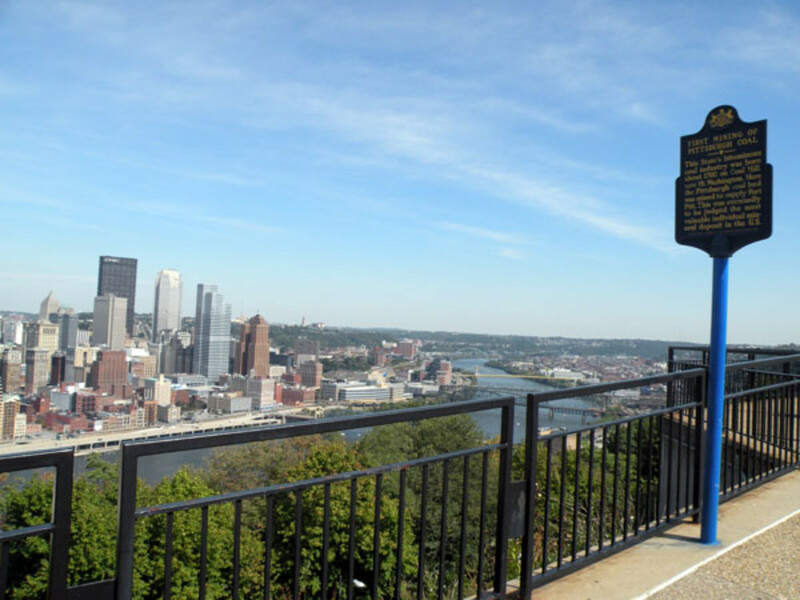 Each place offers a unique and exciting viewpoint to appreciate what the City of Pittsburgh has to offer the interested visitor. 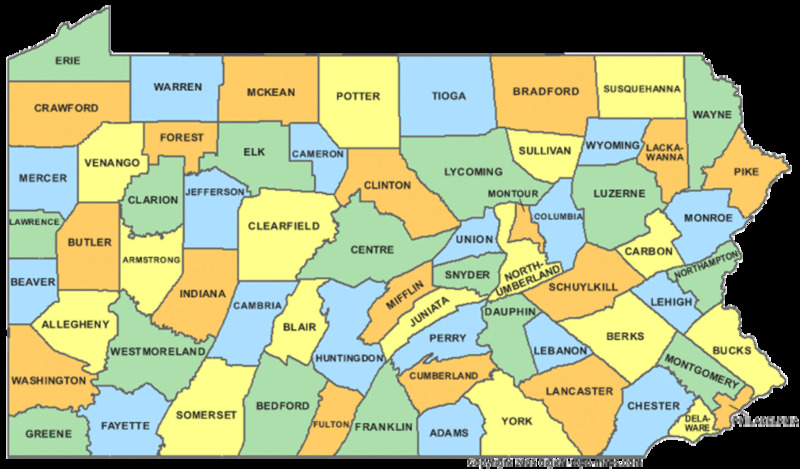 There are many other interesting places of interest to excite the visitor and every Pittsburgher, but these are three of the best. If you have ever visited these venues, please let me know how you enjoyed your visit. This is packed with useful information and great illustrations. Great! Let me know when you visit! What part of town does your brother live in? Yes! Oh myyy the running path is GORGEOUS! I will definitely be earning to conquer Mt Washington! Oh my gosh! So cool! Pittsburgh has so many wonderful places! There is a bike/running path all along the river @ the Point! And you have to ride the Incline to Mt Washington @ night! Thanks for reading and commenting LailaK! PaoloJpm glad you like the city of Pittsburgh! Yes, the Philippines is quite amazing! I don't think I'll be coming anytime soon--its been many years since I've been there. of course I will, but that would be, maybe 2 years from now, since I am currently studying. Oh, you've been? hope you would come back here soon, if you will, let me know too. There are lot of cool places here as well. But I'm really interested with yours too. Outstanding views! looking forward to visit those places. In all seriousness, I do hope to go to Pittsburgh at some point, and this has some great tips on places to visit. Thanks for putting it together.